It’s 1,390 miles from Austin, Texas to Detroit, but when Austin band The Nightowls rev their musical engines, that distance disappears with the speed of sound. But The Nightowls not only channel the Motor City’s classic dancin’-in-the-street beats; they build on them to create an irresistible neo-soul sound that’s all their own. Founded by lead singer and multi-instrumentalist Ryan Harkrider, the Nightowls—all ten of them—have been spreading their sound all over Texas ever since August 2013, releasing a critically acclaimed debut album, Good as Gold, and the toe-tapping, four-song EP Good as Gold B-Sides – which includes Austin’s official theme song, “Nobody Ever Wants to Leave” – in September of 2014. Good As Gold (The A-Sides) will be released on vinyl, giving fans an opportunity to hear The Nightowls’ jukebox-ready music the way it was meant to be heard, with the vinyl’s warm tones filling their ears and hearts. Hailing from all over the map geographically and musically, the Nightowls claim terrain from New England to Arizona and influences from Americana to funk. Bassist Rob Alton was trained at Berklee College of Music; other bandmates honed their skills in dive bars and intimate listening rooms. Together, they push R&B’s boundaries while staying true to its horn- and harmony-laden heart, from the catchy hooks and soulful vocals to the crisp suits and dazzling dresses they wear onstage. 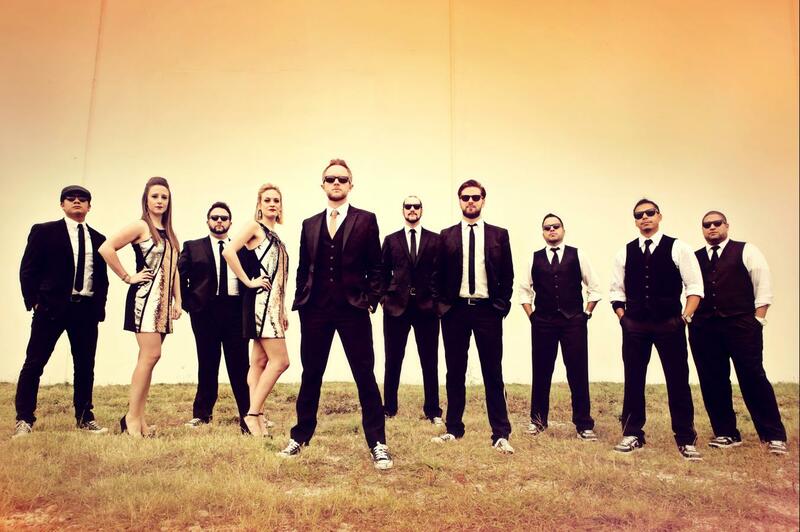 Fresh from performances at KGSR-FM’s “Blues on the Green” concert series and the Austin City Limits Music Festival, where they wowed a capacity crowd, The Nightowls are currently putting the finishing touches on their sophomore album, which is slated for release in 2015. Recorded at legendary Fame Studios in Muscle Shoals, Alabama (where legends like Aretha Franklin, Wilson Pickett, and Joe Tex recorded some of the best soul music the world has ever known), the eight-song album is bursting with the modern-day Motown sound and smart, catchy, original songs that the band is known for. Members of the original Fame backing band, “The Swampers,” including Spooner Oldham on keys, bassist David Hood, and vocalists The Shoal Sisters, who played on nearly every album recorded during the golden age of Fame Studios, appear on Fame alongside The Nightowls, bridging the gap between soul music’s legendary past and its vibrant future. Alongside acts like Sharon Jones & The Dap-Kings and St. Paul and the Broken Bones, The Nightowls are leading the soul revival that’s been brewing for years. There’s no use trying to resist. Just crank up the volume and sing along.